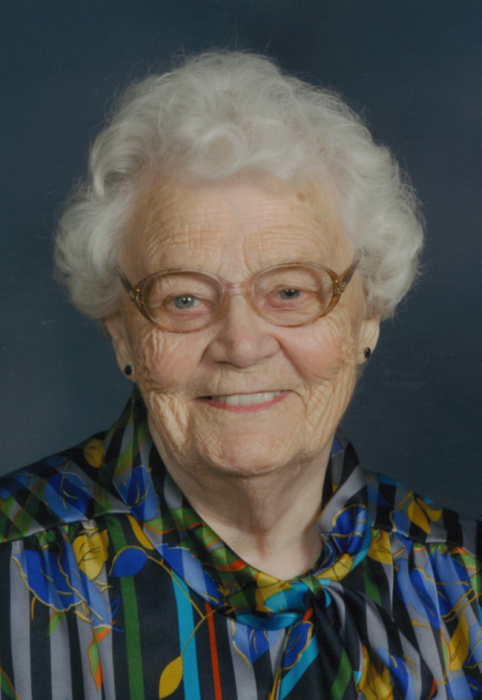 Shirley June (Guthrie) Nelson 94, of Duluth, formerly of Hoffman, passed away Monday, April 8,2019 at Franciscan Health Center in Duluth. Shirley was a resident of Hoffman and an active member of Messiah Lutheran Church for many years. She was born in Duluth, Mn on June 2, 1924 to William and Julia Guthrie, the youngest of six children. On November 15, 1947, she was united in marriage to Delmer A. Nelson in Duluth, MN. The couple farmed in Elk Lake Township, Grant County, Minnesota, retiring in 1972. Shirley was preceded in death by her husband Delmer; parents; two sisters, and three brothers. She is survived by her nieces April (Tony) Radzak of Twig, MN and Mary Coleman of St. Louis, Missouri; many great and great-great nieces and nephews; and one great-great-great-niece. Funeral Service: 2 PM Sunday, April 14, 2019, at Messiah Lutheran Church of Hoffman, with visitation one hour prior to services at the church.